Anticancer drugs may possess a narrow therapeutic range that approaches the levels at which serious side effects may occur, and in general they may be used only in limited doses for the treatment of various cancers. The pharmacokinetics (absorption, distribution, metabolism, and excretion) and toxicity studies of the drugs thus necessitate inevitably highly sensitive and specific quantitative assay (1). The importance of drug monitoring has become increasingly evident for achieving optimum therapeutic effectiveness and minimizing side effects because the response to therapy is often better correlated with the concentration of the drug in the fluid than with prescribed dosage (2), and the pharmacokinetics of the drug varies, depending largely upon the individual circumstances and the clinical state of the patients. The use of the radioimmunoassay (RIA) procedure, based on the antigen-antibody reaction, revolutionized the biomedical sciences with its high sensitivity, specificity, accuracy, and rapidity (3–5). 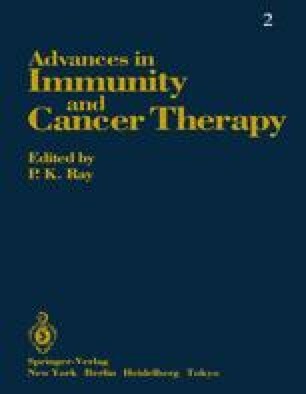 Since RIAs for methotrexate and adriamycin were developed in 1974, many reports have described the use of the immunoassay for other anticancer drugs by employing the respective antidrug antibody. Most of these reports were concerned exclusively with the RIA (6–8); however, more recently, they have focused on enzyme immunoassay (EIA)(9–11). Many other methods for assaying cancer chemotherapeutic agents exist: These include classical microbiological (12,13) and conventional chemical assays; these are not ideal, but each has its strong points.